Austrian national born in 1961, Martin Kriegner has been a member of the Executive Committee of LafargeHolcim Ltd. since August 2016 and is responsible for the Asia region. He is a graduate from Vienna University with a Doctorate in Law and he obtained an MBA at the University of Economics in Vienna. Martin Kriegner joined Lafarge in 1990 and became the CEO of Lafarge Perlmooser AG, Austria in 1998. He moved to India as CEO of the Lafarge Cement operations in 2002 and later served as Regional President Cement for Asia, based in Kuala Lumpur. In 2012, he was appointed CEO of Lafarge India for the Cement, RMX and Aggregates. In July 2015 he became Area Manager Central Europe for LafargeHolcim operations and in 2016 he became Head of India and SEA. 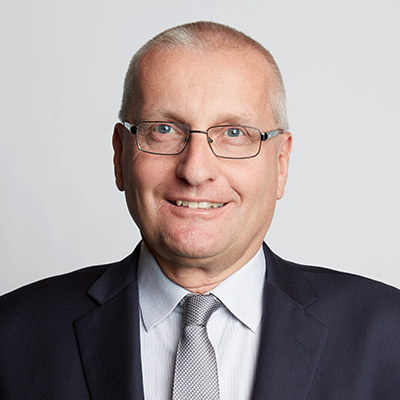 Since January 2018 Martin Kriegner serves at Region Head, Asia, for LafargeHolcim.